The Kyoto Protocol, the international treaty on reducing greenhouse gas emissions, is a “very uneven” agreement, says David Anderson, Canada’s Environment Minister. It doesn’t involve large polluters in the developing world, and has been rejected unilaterally by U.S. President George W. Bush. Still, Canada is about to ratify the climate deal, in part to set a good example, Anderson said in an interview with NRC Handelsblad. “We want to show that it is possible to achieve climate change goals without major economic impact,” Anderson said at his office in Gatineau, Quebec. “If we can do that, it’s a real object lesson to ourselves and to the rest of the world – particularly to the Americans. Today, Canada’s House of Commons will almost certainly vote in favour of ratifying the climate treaty, which requires a reduction of greenhouse gas emissions like carbon dioxide (CO2) of 5.2 per cent below 1990 levels within 10 years. When Russia also ratifies the agreement, a necessity now that the United States are out, the Protocol will officially come into force. Domestically, Canada’s ratification is controversial, especially since the Americans pulled out. Because of the close economic ties between the two countries – about 85 per cent of Canadian exports go to the U.S. – Canadian businesses warn that Kyoto will harm their competitiveness. Industries, particularly in oil-producing Alberta, predict implementing the deal will cost hundreds of thousands of jobs. 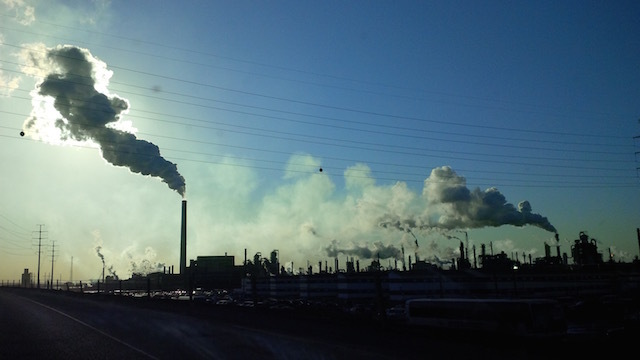 On a per capita basis, Canada is one of the world’s worst polluters. But in absolute terms, Canadian emissions amount to about 2 per cent of the global total – not worthwhile to unilaterally derail the Canadian economy, critics say. Opponents of Kyoto point out that besides the U.S., which is responsible for over a third of global greenhouse gas emissions, other major polluters such as India, Brazil and Mexico can continue to emit under the treaty, because developing countries are exempt. Emissions in the tar sands area of northern Alberta..
Canada firmly believes in multilateral cooperation within the United Nations. 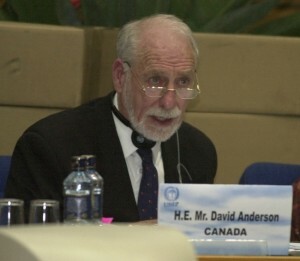 From that perspective, Anderson calls ratification of the Kyoto Protocol “a wise move”. Still, he says he agrees with the Canadian business community that “the impact on the economy will be much greater for Canada than for Europe.” The Europeans could therefore be a bit more understanding of Canada’s position, he says. Since then, Canada has clashed repeatedly with the EU over Kyoto. The country came up with tough conditions to stay on board. It demanded points for so-called sinks, forests that absorb CO2 from the atmosphere. Canada also took a position in favour of emissions trading, allowing the country the ‘buy’ surplus reductions from other countries if it does not achieve its own objectives. Environmental organizations and the EU are of the opinion that every country should achieve its own real reductions of CO2 emissions; they believe these revisions weaken the Protocol. Canada also wants to be rewarded for reductions in American CO2 emissions through clean electricity from Canadian hydro power. “If you reduce emissions in the United States by giving them clean energy, emissions go down and the atmosphere of the globe is improved,” Anderson argues. Under the Kyoto Protocol, Canada has to reduce its greenhouse gas emissions by 240 megatonnes. Canada wants to reach a quarter of that goal through clean energy supplies to the U.S. Another third should be achieved through the sinks. The remainder should be actual reductions – 70 megatonnes by industry and government, 30 megatonnes by consumers. 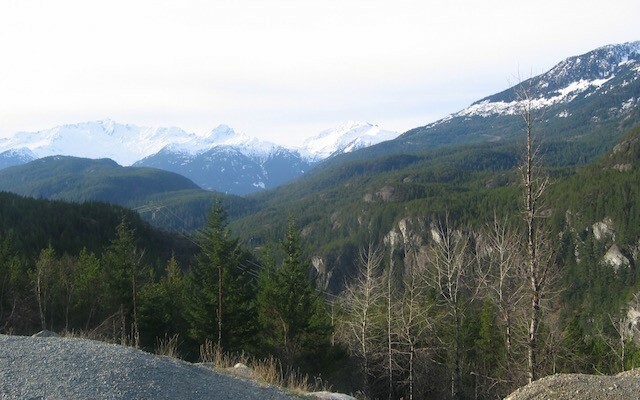 Anderson recently presented a ‘challenge to Canadians’ to reduce household CO2 emissions by a tonne per person, including by limiting car use and through better insulation of homes. “We are willing to go ahead, because we think it’s essential and others are going to come on board,” said Anderson. “If we all sit back and wait for somebody else to do more, nobody will move. The Americans are doing very little, the Europeans could do more, some of the developing countries are doing nothing.